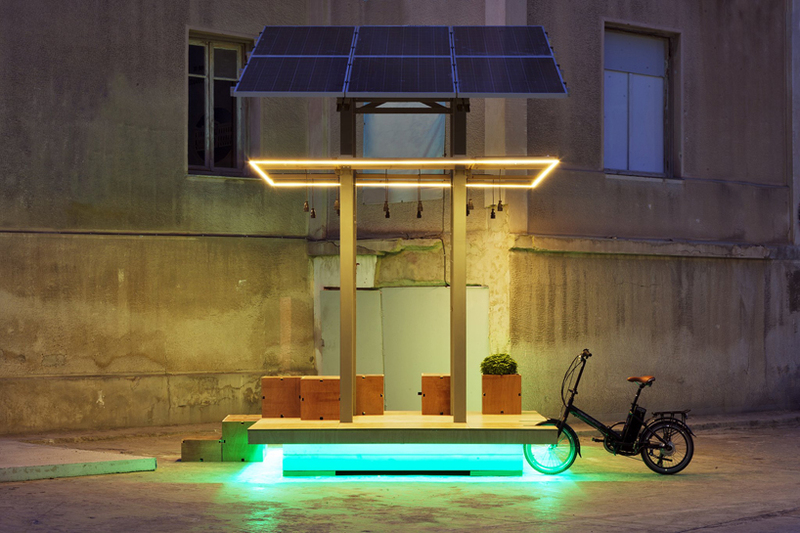 located in an old industrial setting in elefsina, ‘aktina’ constitutes a stand-alone power station that harvests solar energy to recharge electric bicycles and personal devices by greek architecture lab city index. 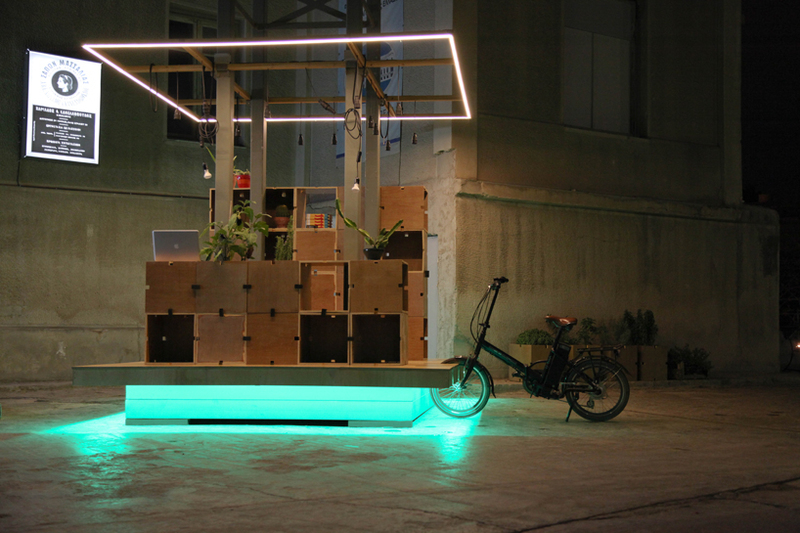 fostering both the idea of alternative mobility and the vision of a new productive urban furniture, it serves also as a self-sustained info and wi-fi point. 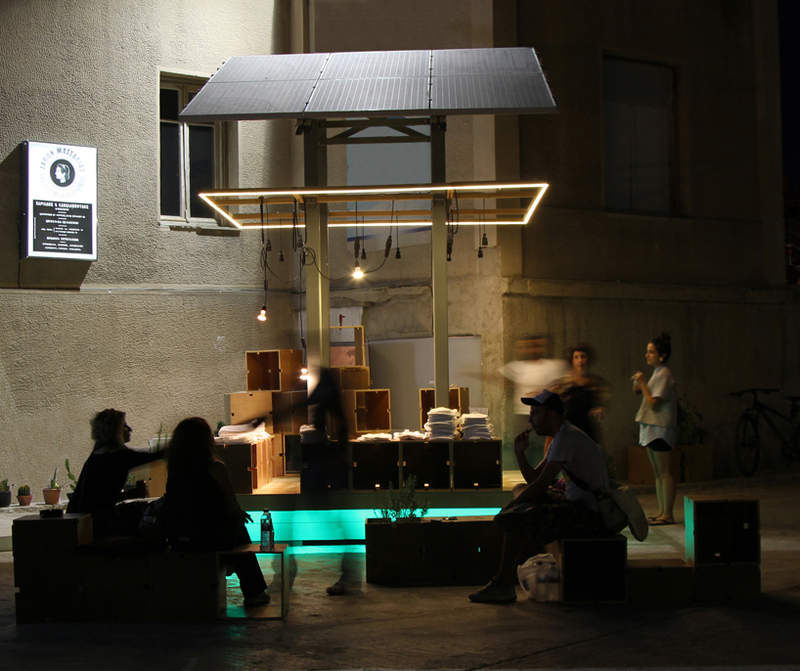 ‘aktina’ aspires to the enhancement of the greek urban environment, complying with the needs of the country’s topography and climate. 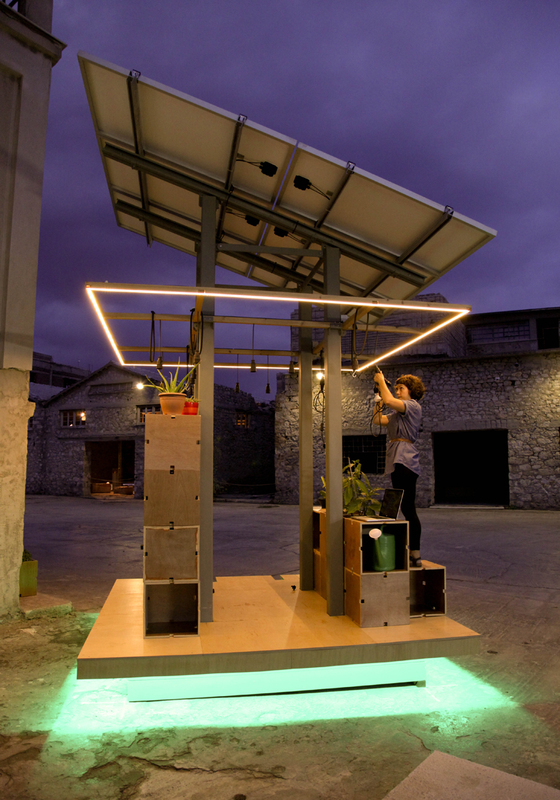 as a future possibility, the project expands in the urban field, so that a network of solar-powered stations can be created. 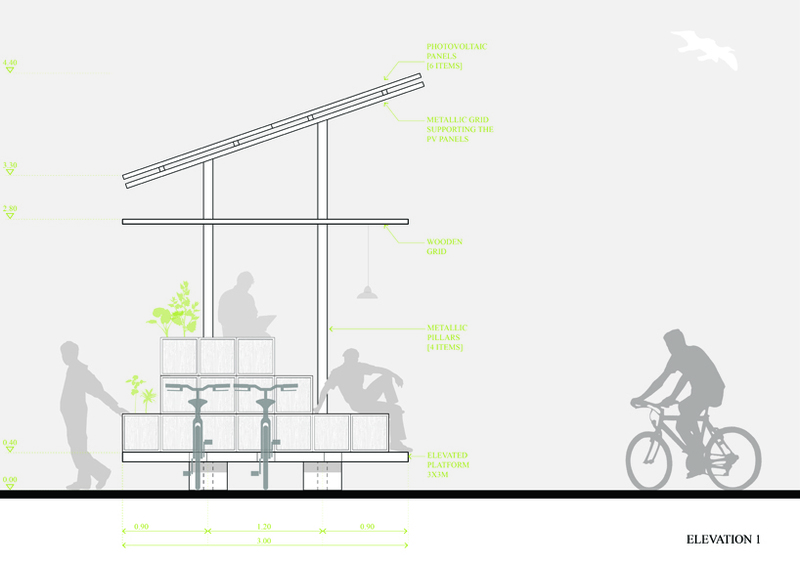 it proposes to contemplate the existing one with productive green energy units. 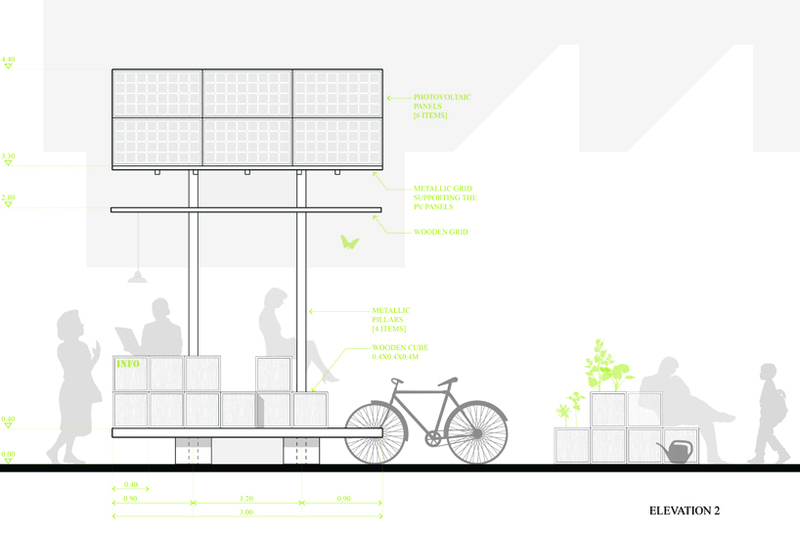 it contributes to the enhancement of user’s everyday living and looking forward to a condition of urban sustainability. 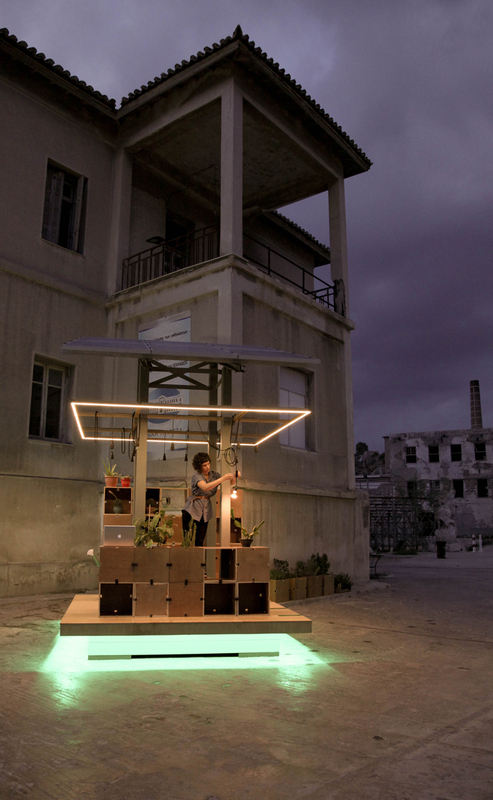 a beta unit was launched within the framework of aeschylus festival 2012, to test its independent production capabilities as well as to measure its social impact. this festival is an event of large impact in greece that attracts people from different nationalities, age or cultural backgrounds. 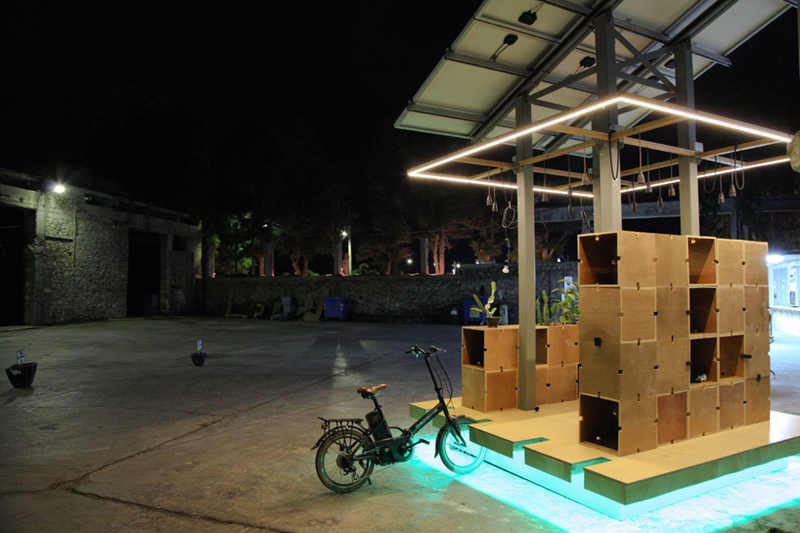 the main goal was the familiarization of the visitors with the notion of renewable energy resources and the new perspectives they bring forward, such as the notion of alternative mobility and public service,as well as the new kind of productive urban equipment. 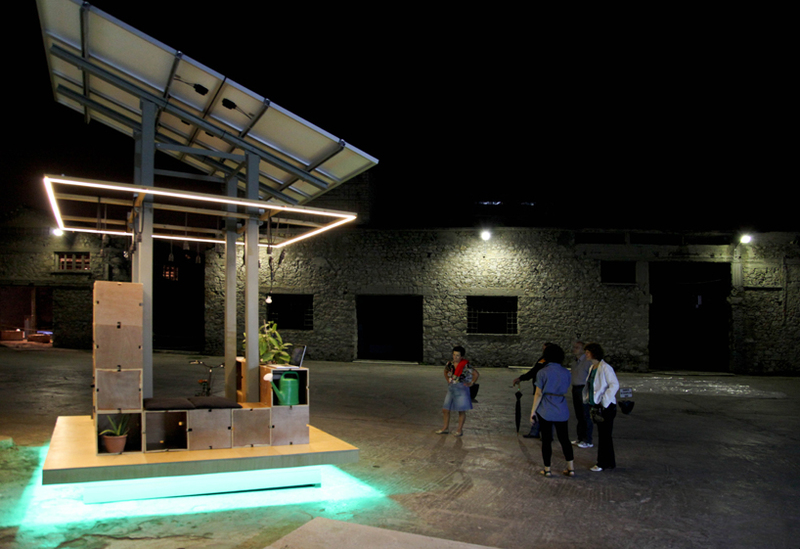 the design of the prototype is characterized by the combination of two distinct structural systems: a fixed, rigid structure and a flexible, transformable system that can adjust its form with respect to current user desires. 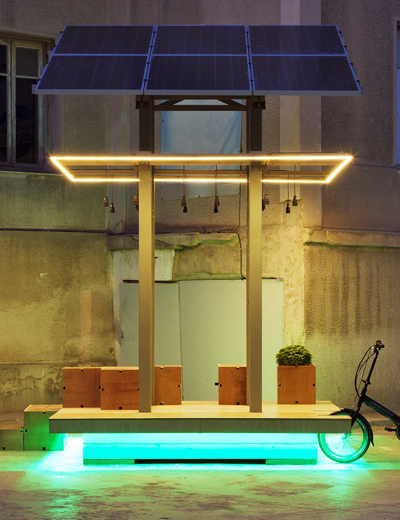 the first system consists of four metallic vertical pillars, bound together in three levels: at the level of the base, of the ceiling, as well as of the top surface which consists of six photovoltaic panels. 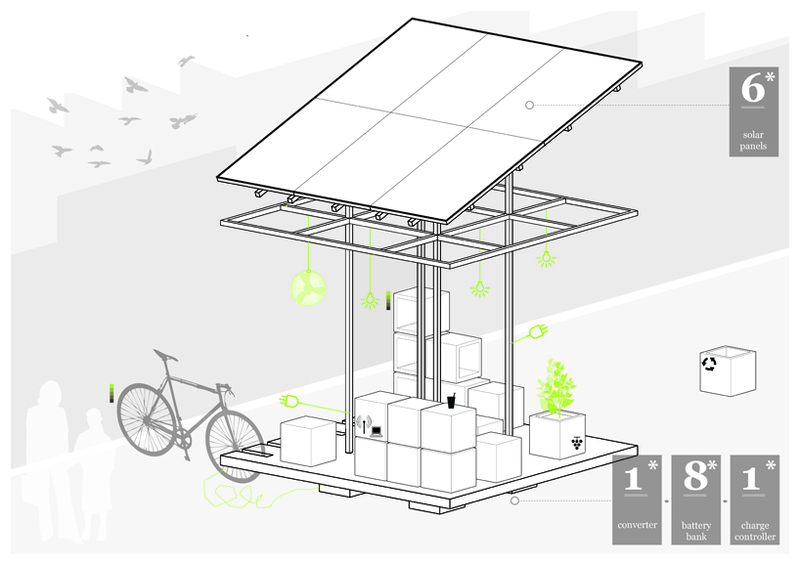 the second is constituted by multiple independent cubes that enable flexibility. these can be used in various ways and configurations, either as single units (i.e. 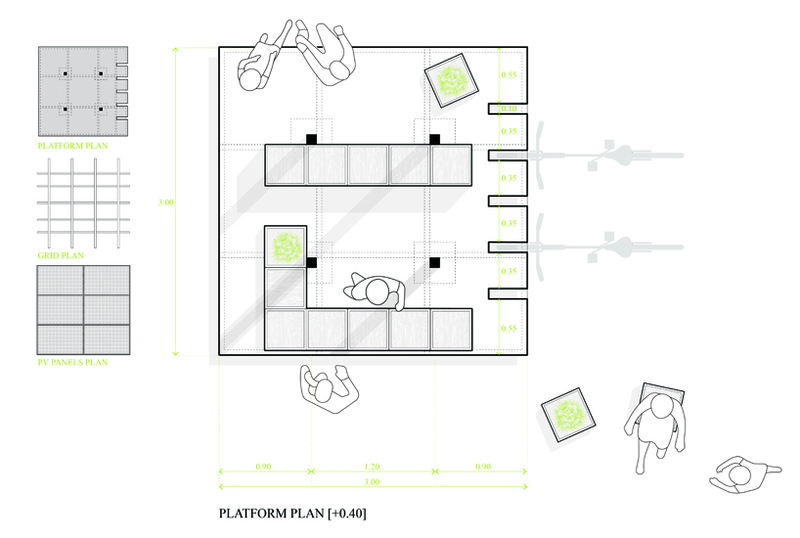 as seats, bench units, planting pots) or as multiple cube entities (i.e. 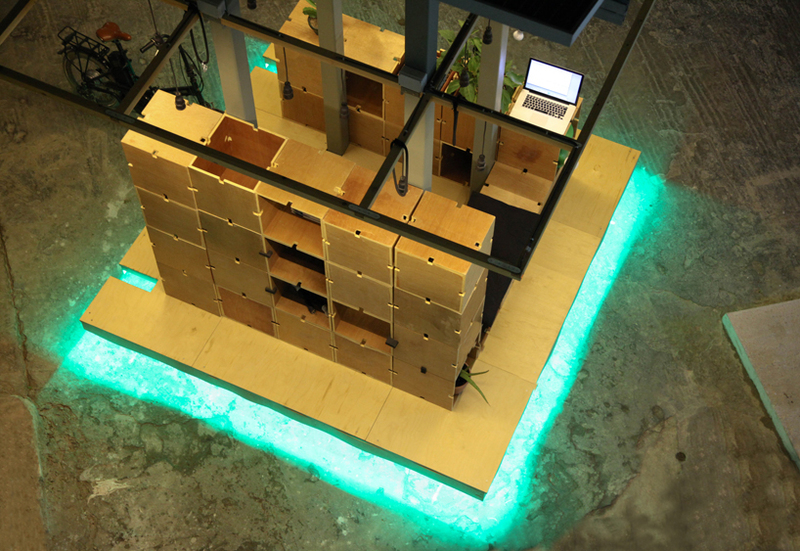 info point, bar or sitting area and projection screen etc).